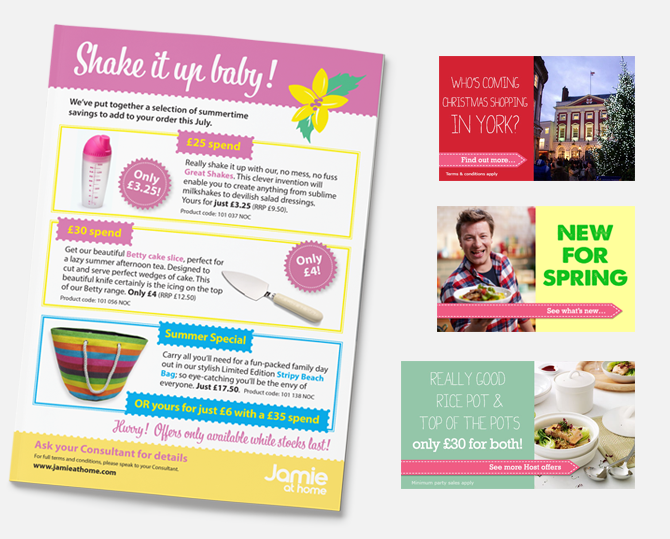 Jamie at Home contacted i-i-design to assist them in working on a range of marketing collateral. They needed regular help that could be turned around quickly – especially when creating web banners and online adverts – for their fast-moving web campaigns. We were also asked to produce a range of printed publications including incentive booklets and cards for new customers, and guideline directories for new hosts. All under the 'Jamie at Home' brand.